What Time Are You? ($15 – Click to Purchase, Textbook, ISBN: 978-1-937536-28-2, Hardcover ISBN: 978-1-68114-163-3, 6X9″, LCCN#: 2012940839, 106pp, June 2012): This book introduces readers to the perception of time in different ways. Critical to this concept is the idea that Time Management tools are not effective unless one is aware of their personal perception of time. Time Leadership is the process of understanding the perception of time and how to apply it to situations that require it. 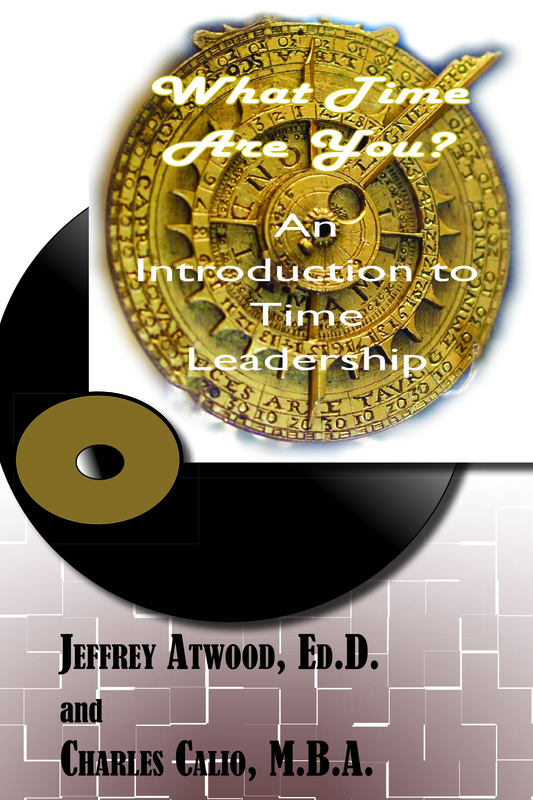 Dr. Jeffrey Atwood is the President and founder of The Jephrey Group, Inc. a leadership coaching firm, and an Associate Professor of Leadership at the Orlando Campus of Mountain State University. He teaches both Organizational Leadership undergraduate courses and Strategic Leadership Graduate Courses. He has over twenty years in teaching management and leadership at various institutions of higher learning. He has been a Director of Human Resources at two health care facilities and a Supervisor of Quality Assurance at Abbott Laboratories. He received his doctorate in leadership from the University of Central Florida, holds an Educational Specialist degree in Industrial Education from the University of Wisconsin-Stout, and a Masters in Health Facilities Management from Webster University. Dr. Atwood is a graduate of Harvard University’s Institute of Management and Leadership. Charles A. Calio is an Adjunct Professor of Leadership at the Orlando Campus of Mountain State University where he teaches Organizational Leadership undergraduate courses. He has fifteen years of experience in sales leadership in the effective use of multimedia products. He is a former Product Manager with IBM Corporation with many years of experience in working with leaders and people in product sales. He received his MBA degree from St. Johns University.